Marcel Duchamp is considered one of the great artists of the 20th century, but was his greatest achievement - Fountain - a urinal bearing the signature R. Mutt, the work of someone else? The original Fountain has long been lost, and for many decades forgotten, but in the 1950's became such a talking point again that Duchamp decided to manufacture up to a possible 17 copies - one of which stands proud, under glass, in the Tate Modern. Earlier this century a poll of 500 art historians voted it the most significant art work of the 20th century, for the questions it raises about art and the artist, but although the importance of 'Fountain' in the history of art is undisputed, is it certain the artist was, in fact, Duchamp? And if it wasn't him, then who was it? Join the dots, and the paint brush of history seems to point at the Baroness Elsa von Freytag-Loringhoven - a truly free spirit and radical artist, who Duchamp called 'the future'. The smoking gun is a letter written in 1917 by Duchamp to his sister Suzanne, stating "One of my female friends" had submitted the urinal as a sculpture to the exhibition, "the pseudonym Richard Mutt". True, false, or just a fascinating theory... its one that throws an interesting light over one of the most significant works of the 20th century. Steve Punt dons galoshes and heads for the nearest convenience. Producer: Sara Jane Hall. One afternoon in July 1953 Father Henryk Borynski, a Polish priest living in Bradford, took a telephone call. His housekeeper heard him say "OK, I'll go". He put on his hat, and his coat and left. He was never seen again. Many Poles fled to the United Kingdom during World War II and settled in Bradford. With the onset of the Cold War they became exiles, unable to return to Poland. In his sermons, Father Borynski was an outspoken critic of the Soviet system and many believed he could have been a victim of communist agents operating in England. Steve Punt investigates, following leads and opening Secret Service files, to find out what might have happened to Father Borynski. Producer Neil McCarthy. A piano tuner discovers a hoard of gold coins carefully concealed inside a piano. Whoever hid it there is a mystery. Radio 4's very own Inspector Clouseau Steve Punt is on hand to piece together the clues. His detective trail leads him on a journey through Victorian music circles, the Freemasons, bankruptcy, and Shredded Wheat packets as he works out who stashed the gold. Producer Neil McCarthy. 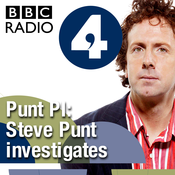 Steve Punt returns as Radio 4's very own private detective. In this tenth anniversary edition, Steve's called in to investigate the unlikely disappearance of American and Russian nuclear weapons - with assistance from best-selling thriller writer Frederick Forsyth. At first, Steve's sceptical - surely no nuclear power could actually lose possession of weapons capable of causing Armageddon. But as his investigation gathers pace, the story starts to becomes rather disturbing. From an H-bomb lost over Savannah, Georgia to a cache of so-called 'suitcase nukes' which rumours suggest could still be stashed in modern day Moldova, Punt weighs up the evidence - with a little detour via Dorking... Producer: Laurence Grissell. What is it? The sounds generated by mating fish? The US government? Or even the evolution of humans to hear electromagnetic waves... Steve Punt, BBC Radio 4's Mulder and Scully combined, turns his analytical ears to The Hum - heard by people, all over the world, tonight. For some of those who hear it, it's unpleasant, even distressing, for others simply mysterious. The Hum has been reported as far back as the 1960's, when people in Bristol first brought it to the attention of the local council. They never found out what caused it. Many have tried to work out the source of the Hum... so there is no real reason to expect Radio 4's gumshoe to solve it in half an hour... but Punt PI will investigate some intriguing possibilities. From Surrey to the ionosphere, he examines afresh some of the most common theories - with leading experts: is it the sounds created by fish, as recorded by neurobiologist Dr Andrew Bass; or the noise of seismic waves as discussed with expert Dr Lucia Gualtieri of Columbia University, New York; might it be a whole range of potential ear problems as suggested by Mark Williams at the Tinnitus Clinic; tall buildings - given short shrift by South Leeds Life editor, Jeremy Morton; electromagnetism - considered by science expert Roland Pease; and last, but definitely most 'X-files' of all, HAARP, a US military research station, now run by Bob McCoy of the University of Alaska - a theory poo-pooed by national security journalist Sharon Weinberger. He also touches base with the creator of the World Hum website, Dr Glen MacPherson, who is trying to keep an online record of this phenomenon - most commonly described as a diesel engine in the distance. 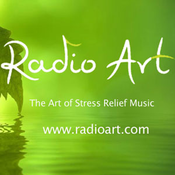 Producer: Sara Jane Hall Music sourcing: Danny Webb. 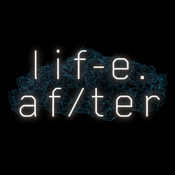 Lyt til Punt PI, LifeAfter og mange andre stationer fra hele verden med app'en radio.dk.